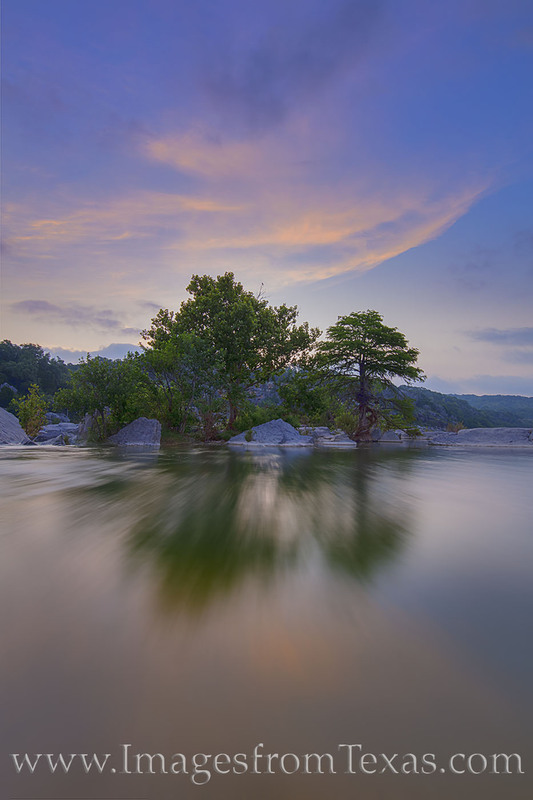 High clouds light up the sky above the Pedernales River as the camera’s long exposure allows the water to create a flowing effect in this image from the Texas Hill Country. The absence of wind made this image possible as the trees and leaves stayed still. On a branch extending from the larger tree, a bird rests calmly as I went about my work. Photo © copyright by Rob Greebon.